Aromatherapy is defined by the National Association for Holistic Aromatherapy as “the art and science of utilizing naturally extracted aromatic essences from plants to balance, harmonize and promote the health of body, mind and spirit.”1 There is much speculation about why a plant produces oils, ranging from attracting pollinators, to deterrent from being eaten or grazed upon, to simply a byproduct of plant metabolism.2 In order to have a true essential oil, the oil must be acquired through physical means such as steam distillation rather than something like a chemical extraction.3 For example, mint extract you might use in baking is an alcohol extraction which is different from an essential oil. Peppermint oil is distilled by steaming the leaves of the plant and then condensing the steam back into a liquid after the essential oil has been vaporized into it. Oils can be diffused into the air via a warm surface or a special water-diffuser that releases oil and water vapor. They can be taken internally, provided you purchase your oils from a food-grade manufacturer. Additionally, they can be applied topically, and are often mixed with a carrier oil to be used in the context of massage. In particular, aromatherapy massage is very effective in relieving symptoms of depression, compared with simply inhaled aromatherapy.9 Aromatherapy massage has also been indicated to reduce reported pain and improve nociceptive (pain from nerve stimulation) and acute pain.10 It is for this reason that we have begun to offer doTERRA essential oil products for use during your massage sessions, or for your personal use at home. 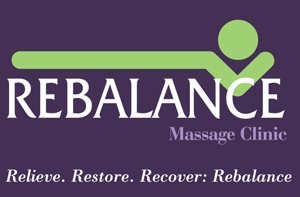 If you have any questions about using essential oils in your home or during a session with us, please feel free to contact Rebalance Massage Clinic at 732-422-6364, or online at rebalancemassageclinic.com.